Behaviors and Facts About Dogs Every Pet Owner Should Know - Richell USA Inc. If you’re a first-time pet owner, you might be in for a surprise when raising your new furry friend. Everything from veterinary care to the right brands of food can make a big difference in their lives. At Richell USA, we strive to create crates, playpens and furniture and storage products that your pet will love and you’ll feel comfortable using. Here are a few interesting facts you may not know about your own dog. Some smaller canines might benefit from indoor play to keep them active and healthy. Richell USA provides play crates and playpens in various shapes and sizes needed to fit you and your canines needs. The collapsible dog crate makes for easy storage that can be put in any room needed, and stored when not in use. Richell USA's pet products are all about quality, style and function. Each product is made to provide a comfortable solution to a pet's needs. By combining elements of safety and mobility, our products function well for busy pet families with larger dogs. With dog crates and gates that keep your canine out of areas that they shouldn’t be in, you are providing a safe and comfortable living space for you and your pet. Dogs are very smart, and pick up on behaviors and set rules around the home very quickly. 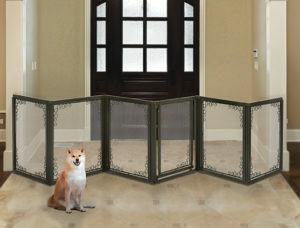 Train them correctly with a playpen, dog crate, or dog gate from Richell USA. Dogs wag their tail to the right when they’re happy and to the left when they are frightened. Wagging low means they are insecure and rapid movements accompanied by tense muscles or dilated pupils can signal aggression. A primal instinct in dogs is to hunt and prey on their victims - so that explains why the new toy you bought is destroyed in a matter or hours or days. The idea is to hunt and dominate themselves on what they view as prey. In this case, it could be the new squeaker. Investing in a playpen or crate for your pet to run around and exhibit this natural instinct is a great investment to save from damaging your home or putting other pets or yourself out of harms way while they play. We create products for pets and their humans, which is you! Our products, ranging from indoor dog crates, carriers, and multi functional dog beds and playpens, are built to last and perform well. Buy your furry friend the very best, because they deserve it! 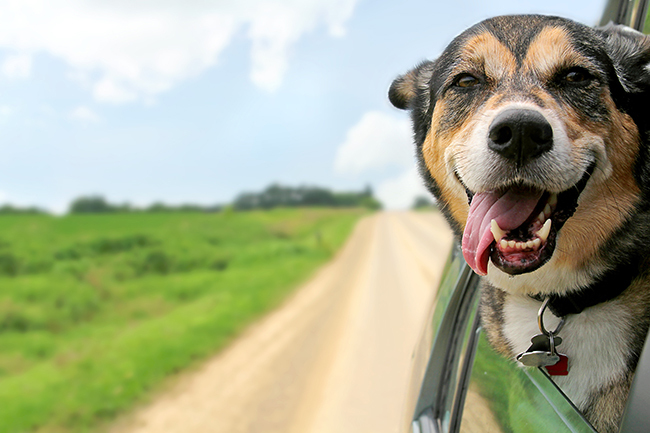 Subscribe Richell Newsletter today to learn how Richell USA can improve your dog's quality of life.